In linguistics, some people study words and how they are mapped into concepts. Others look at the grammatical structure of language and how it differs across language groups and families. 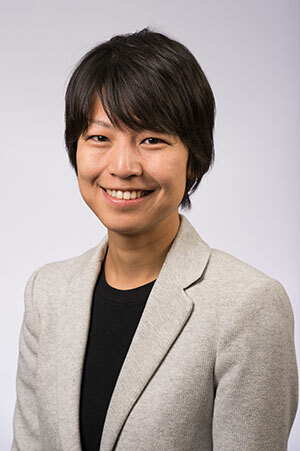 Still others like Chigusa Kurumada, an assistant professor who joined the brain and cognitive sciences department in 2014, are interested in pragmatics; that is, what we really mean with our words. Kurumada uses a combination of techniques in her lab to try to understand pragmatic skills in children and adults. For example, someone who says “oh great” could actually mean “great” or could be using sarcasm to convey an opposite meaning. “At some point, children start to understand that although someone says ‘X,’ one could really mean ‘Y,” she says. “I want to understand how this happens.” To do this, Kurumada uses three techniques. One involves using a recording booth to capture two people talking to each other to execute a task, such as playing a game. She then analyzes the acoustical data, from the verbal expressions they use to the tone of their voices. A second method involves collecting information through the Internet. She conducts surveys with Amazon Mechanical Turks (an on-demand, scalable, low-cost workforce) to help her gather a significant amount of data in a short period of time. Eye trackers provide yet another way to get information. Kurumada uses them to study people’s eye gazing patterns and then she draws conclusions about how they interpret what they hear, in combination with what they are looking at. The importance of having good data and analytical skills will become increasingly important in her field. Kurumada notes how difficult it is today to develop technology that adjusts for acoustic signal variability across speakers and contexts (or environments). Down the road, Kurumada’s research could help those on the autism spectrum. She hopes the Goergen Institute for Data Science will facilitate future collaborations with her lab, computational experts, and researchers associated with pediatrics at the medical center.